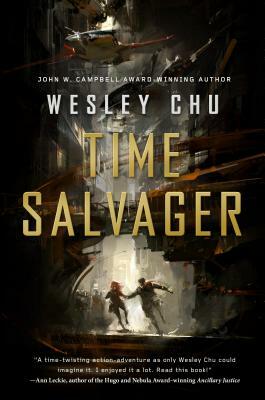 Time Salvager is a fast-paced time travel adventure from Wesley Chu, the award-winning author of The Lives of Tao. WESLEY CHU was a finalist for the John W. Campbell Award for Best New Writer. His debut novel, The Lives of Tao, earned him a Young Adult Library Services Association Alex Award and a Science Fiction Goodreads Choice Award Finalist slot.